A Guide to No Win No Fee and Find out what is No Win No Fee? 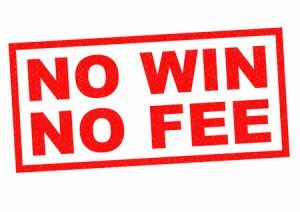 A No Win No Fee agreement, which is also often called a Conditional Fee Agreement (CFA) is a legal fee framework for providing people with the legal representation and advice they need, regardless of whether they can actually afford to pay the legal fees, when they need it. What this means, is that people with limited financial resources will not be restricted in pursuing any claim for damages following an injury caused by a third party. Under this type of agreement, you do not pay any legal fees at all, until your claim for compensation has been actioned, and it has resulted in a compensation payout. Put simply, you don’t pay anything whilst your solicitor is seeking compensation on your behalf. If your solicitor fails to claim compensation for you, then you still have nothing to pay. However, if the solicitor does help you make a successful compensation claim, you will then have to pay legal fees, which will be taken out of any monies you receive as a result of your claim. No win no fee 100 percent compensation. Personal injuries and no win no fee. No win no fee pitfalls. No win no fee compensation – what can you claim for? No win no fee – who can claim compensation? 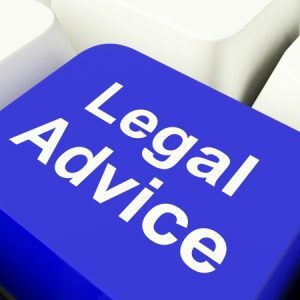 No win no fee claims – a walkthrough. The pros and cons of no win no fee compensation claims. No win no fee how much do solicitors take? Why choose our no win no fee solicitors? A Guide to How Does a No Win No Fee Claim Work? Our guide to this kind of agreement is as simple as the name implies. In most cases, your compensation claim will begin with a free legal consultation with a firm of solicitors. They will then evaluate your claim, and decide whether they wish to take it on under a Conditional Fee Agreement, No Win No Fee. If they do wish to take the claim on, they will begin pursuing the compensation claim on your behalf. They will handle all legal aspects of the case, and will not charge you for this until such time as a successful result has been achieved. Prior to 2013, some people were able to claim 100% compensation for personal injury under a Conditional Fee Agreement. Unfortunately, this is no longer the case. The only way that a person making a personal injury compensation claim and receive 100% compensation these days, is if they are covered by an insurance policy that includes legal cover. In this case, the insurance company will be paying the legal fees. This means that any compensation claimed on your behalf, will not be subject to having the legal fees deducted. Therefore, you would receive 100% of the compensation you were awarded. There is a very good reason why so many solicitors are willing to take on a personal injury compensation claim under a No Win No Fee agreement. It is because in most cases, where it can be easily proven that the injury was a direct result of an accident caused by a third party, the likelihood of making a successful claim for compensation is very high. Therefore, the solicitor sees this as a fairly safe bet. They are willing to take the risk of potentially losing their fees if the claim is unsuccessful, rather than turn away a prospective client who does not have the financial means to pay ongoing legal fees across the lifecycle of the claim. Every claim for personal injury compensation will fit into one of three categories, and potentially two of them, or even all of them, depending on the complexity of the circumstances that caused the accident. These are injuries caused by the negligence of a third party, personal injury claims against a legal entity that is liable for the accident, and personal injury claims as a result of an accident where negligence was not the case, and no legal entity is obviously liable. In general, compensation can potentially be claimed for personal injuries that have occurred within the previous three years. This is a very broad category when discussing the types of personal injury compensation claims a person may be eligible to pursue. Accidents can be caused by the negligence of individual people (such as a bus driver) or the negligence of an organisation (such as a hospital). Negligence claims are also sometimes referred to as a breach of duty claim. Medical negligence – in the case of medical staff or a doctor causing injury to a person through negligence in their duties. For example, if a surgeon makes a critical mistake during an operation causing an injury, or a General Practitioner prescribes the wrong kind of medication, that causes injury. Care negligence – in the case of long-term care staff causing injury to a person through negligence in their duties. For example, nursing staff causing an injury to an elderly person who is in their care, by failing to assists them in performing day to day activities such as dressing and cleaning themselves. Dental negligence – in the case of a dentist or a member of the dental nursing staff causing injury to a person through negligence in their duties. For example, a dentist causes injury to a patient whilst they are receiving dental care. Health and safety negligence – in the case of injuries that were caused due to lax health and safety precautions being taken. For example, an employee slips on a wet floor that was not adequately signposted to give a warning. In this category, we are discussing general accidents that resulted in a person being injured, due to the actions of a third party. In reality, although we have listed accident claims as a separate category, many of the incident types in this category will also fall into either the negligence category, liability category, or even both. Private vehicle road traffic accidents – injuries that are caused by being involved in a road traffic accident with a privately-owned vehicle, as either the driver to a passenger. This includes all types of vehicles such as cars, motorcycles, bicycles and also pedestrians. Accidents at work – Many work accident claims happen daily workers have a right to claim for any type of accident at work depending on how the accident happened. The HSE also has very strict rules. Hire vehicle road traffic accidents – injuries that are caused by being involved in a road traffic accident whilst riding in a public hire vehicle such as a taxi, minicab or ride sharing service. Slip, trip and fall accidents – personal injuries that have been caused due to a person tripping or slipping due to a third party failing to maintain a footpath or other public access area properly. This can include wet surfaces, damaged paving stones or curbstones, and any other reasons for a floor to become dangerous. Although we have listed slip and trip in the accidents category, it is likely that any claim for personal injury compensation due to a slip trip accident will be the result of negligence on the part of a third party. In this category, we are talking about personal injury compensation claims that were clearly the fault of a third party that has a well-defined responsibility for ensuring the accident would not happen. In these cases, it will most usually be a fairly large legal entity that is being pursued for damages. For example, a local council that has failed to maintain the public footpath, leading to a slip or trip accident claim. Compensation claims against the local council – the local council are responsible for maintaining public places, such as the public footpath, public parks, public playgrounds and many others. If an accident occurs resulting in a personal injury in any of these public places, which was clearly caused by the local council failing to maintain these areas properly, resulting in them becoming dangerous, then they are liable and can be the focus of a personal injury claim. Compensation claims against private companies – if a company such as a supermarket chain provides public accessible places, then it is responsible for maintaining these places and keeping them safe. Using the supermarket example, this would include inside the store itself, and also other publicly accessible places such as the car park. If an accident occurs resulting in a personal injury in any of these publicly accessible places, which was clearly caused by the company failing to maintain these areas sufficiently, resulting in them becoming hazardous, then they are liable and can be the focus of a personal injury claim. Compensation claims against a product manufacturer – the Consumer Protection Act of 1987 categorically states that if a person sustains a personal injury whilst using a product, and the injury was not caused by the product being used improperly, the manufacturer could be liable. Therefore, it is possible to pursue a personal injury compensation claim against the manufacturer, even if the person injured was not the original purchaser of the product. Compensation claims against an employer – every company is legally required to maintain certain health and safety standards. If an accident occurs in the workplace that is due to the company failing to maintain required health and safety standards, then a liability claim for personal injury compensation could be made. These are just a few of the reasons why a person might have a valid reason to seek a compensation claim for a personal injury for which a third party is liable. If you believe you are the victim of an injury for which somebody else may be liable, contact us for some free advice. Although for many people a No Win No Fee agreement is often the only way that they can procure the legal services needed to pursue a personal injury compensation claim, there are a number of downsides to this kind of legal service. Most notable of these is that it is a legal requirement to inform the court of the details of your No Win No Fee agreement, and also the approximate chance of your compensation claim being successful. In some cases, this could lead to weaknesses or flaws in the legal argument for making a compensation claim being exposed in advance. Additionally, due to the fact that the fee that a solicitor is paid after a successful personal injury compensation claim is directly tied to the amount that is awarded, they may be tempted to pursue the highest payout possible, even if this means exposing the case to the risk of failure, in order to facilitate this. There is also a danger that a client which engages a solicitor under a No Win No Fee agreement may end up having to pay some additional legal costs after the compensation claim has been made. For this reason, after the event insurance should be taken out prior to commencing the compensation claim. As can be seen, the pitfalls of a No Win No Fee agreement are quite slight, and overall, the benefits far outweigh the downsides in most cases. Medical costs incurred as a result of the accident – this includes medical costs that were incurred as a direct result of the accident (such as emergency medical care), and also medical costs that are incurred due to treating ongoing health issues caused by the injury (such as outpatient visits and cost of medication). Care costs that are incurred due to the long-term effects of an injury sustained in an accident – for people who find that they need additional assistance as a result of their injury, such as help maintaining their home, keeping themselves fed etc. then these care costs can form part of a compensation claim. Travel costs that are incurred due to the accident – two types of travel costs fall under this category. Firstly, out of pocket travel costs incurred right after the accident, such as having to take a taxi to the hospital, and then home from the hospital after treatment. It can also cover ongoing travel costs incurred as a result of the accident, such as having to regularly visit a hospital outpatient department for ongoing injury treatment. General damages for which a third party could be liable as a result of the accident – the is a broad category, which covers many of the less tangible effects of an injury. This can include damages sought due to the physical pain caused by the injury, and also the emotional stress and trauma caused by the injury. Loss of income as a result of an injury – when an accident causes a personal injury which has long-term effects upon a person’s ability to earn income, then a compensation claim can be made. This can cover both loss of earnings through not being able to perform their job of work, and also the loss of earning due to not being able to operate their business. These are the basic categories that will make up a total claim for personal injury compensation. Each case is entirely unique, and we can assist victims of an injury in deciding exactly what they could be entitled to claim, and the best way of going about it. People who are dependent upon the income, support or care of the injured party, such as children, partner or other members of the immediate household. The extended family of the injured party who have suffered some form of hardship due to the injury, such as siblings who have been forced to provide care for the injured person. The estate of the injured party, such as business enterprises or other organizations that have faced some form of hardship due to the injured person being either temporarily or permanently unavailable. We can assist either the victim of the injury or their representatives in pursuing a personal injury compensation claim. We especially recommend that in more advanced cases, such as the victim’s estate seeking compensation, that the pursuant spends some time discussing options with us before proceeding with a claim. When you employ a solicitor under a No Win No Fee agreement, they will handle every legal requirement to pursue a compensation claim on your behalf. This will begin with a fact-finding session, the get the details of the accident and the injury. Your solicitor, based upon the facts of your case, will offer you the best advice on how to pursue your compensation claim. If you agree with the course of action they recommend, they will then proceed to move your claim forward. The solicitor will take the facts of your case, and contact relevant experts to check these facts, and make sure that they are viable. This is a key milestone, and actioning it makes sure that the claim itself is not at threat of failure due to technicalities. The next stage is for your solicitor to contact the legal entities that they feel are liable for the compensation claim. For example, they will send a letter to the medical practitioner who you wish to make a claim against, informing them of the reasons why compensation is being sought. In the case of personal injury compensation claims that are subject to court proceedings, the solicitor will become the claimant’s legal representative throughout the proceedings. Additionally, the solicitor will be responsible for bringing in any outside expertise that is required to pursue the compensation claim. For example, sourcing outside expert opinions with regards to building evidence in a medical negligence claim. The solicitor is responsible for handling the end process of receiving compensation following a personal injury claim. This will include deducting their fees as agreed under the Conditional Fee Agreement. These are the major actions that a solicitor engaged under a No Win No fee agreement will take on the client’s behalf. However, each case is unique, and there may be issues outside of these examples which arise. The solicitor will offer the best advice at all times, and help move the compensation claim forward. For many people, a No Win No fee agreement is the only way they can afford to pursue a personal injury compensation claim. For those who do have access to sufficient funds to pay for their legal fees, it is important to understand the pros and cons of this kind of agreement, so they can make an informed choice as to whether No Win No Fee is right for them. A self-funded personal injury compensation claim can be very expensive. Not only will the person pursuing the claim need to pay the solicitors fees, they will also have to pay the ongoing legal administrative costs of the claim. This includes every cost leading up to and also including a court trial. If the personal injury compensation claim is successful, whether the matter is settled out of court or goes to trial, the losing party will be expected to pay the claimant’s legal and courts costs. It is also possible that the claimant’s solicitor will also refund some of the fees that have been paid to them across the lifecycle of the claim. However, if the personal injury compensation claim is a failure, then the claimant will be responsible for paying all of the legal fees, and in some cases, also the legal costs incurred by the winning party. As can be seen, the potential risks of not making a compensation claim using a No Win No fee arrangement are quite large. If instead of taking the self-funded route, the claimant decides to employ a solicitor under a No Win No fee arrangement, then most of these risks are mitigated. In effect, the solicitor is gambling on the fact that they can successfully make a personal injury compensation claim on your behalf. The claimant, if they lose the case, will still have to pay for additional costs such as procuring expert advice, and using outside experts to compile supporting evidence. In most cases, the solicitor will recommend that the claimant take out some form of insurance to cover these additional costs of the claim is unsuccessful, this mitigating this risk entirely. Finally, one of the most beneficial reasons for employing the services of a solicitor under a No Win No fee agreement to pursue a personal injury compensation claim is that unless the case is won, the solicitor will not get paid. Therefore, they are fully committed to winning the case. In 2000, Legal Aid was abolished in the U.K. No Win No Fee or Conditional Fee Agreements replaced it. This kind of agreement agreed a fixed “success fee” for the solicitor if they actually won the case. This meant that if a personal injury compensation claim was successful, the compensation amount would consist of the actual damages awarded, plus the solicitor’s success fee on top. This meant that the claimant would receive 100% compensation, and the solicitor would also get paid. However, this situation changed in 2013., and it became immobile to claim 100% compensation, plus the solicitor’s success fee on top. Now, the solicitor’s success fee has to be deducted from the damages compensation payout. The actual fee that a solicitor can take as the result of a successful personal injury compensation claim being made under a No Win No fee agreement is limited by the Justice Act. Within the Justice Act, the maximum fee that a solicitor can claim is capped at 25% in personal injury cases. However, it should be noted that following a successful claim, there may be additional fees that are encountered as a result of making a successful claim. These can be mitigated by taking out After the Event insurance. The service we have developed is aimed squarely at ensuring that everyone has access to the legal representation they need, whether or not they have finances on hand to cover their legal costs. Nobody should be dissuaded from making a personal injury compensation claim just because they cannot pay the legal fees involved in pursuing their claim.More information on No Win No Fee solicitors here. When you contact us about a fresh compensation claim, we will take each fact of your accident into account, during a completely free consultation session. Once we have all the facts, we will advise you on the best action to take to execute your personal injury compensation claim. Each compensation claim is unique, and we take every factor into account as we build your case. Every client is valuable to us, and we pride ourselves on the customer journey we deliver. And as our legal fee is tied to the amount of compensation we win on your behalf, then we will always attempt to win you the most compensation we positively can, without risking your case. If you have suffered a personal injury as the result of an accident that was not your fault, then you should contact us. We can then evaluate whether you have a solid case for claiming compensation against a third party or not. Even if you feel the accident was not due to the fault of somebody else, you may still have a valid reason to make a liability or negligence claim on a No Win No Fee basis. When you contact us, the first thing we will do is invite you to speak with us during an initial free legal advice session which in real terms is simply a phone call. We will collect all of the key facts surrounding your accident, and let you know whether or not we think you have a good chance of pursuing a successful personal injury compensation claim. If you have a sound case, we will usually offer to take on your compensation claim as a No Win No Fee arrangement. You won’t have to pay a penny in ongoing legal costs, and nothing at all if you lose. You only pay if you win! Absolutely no risk to you at all!